Brand New Renovation – NOTHING TO DO! 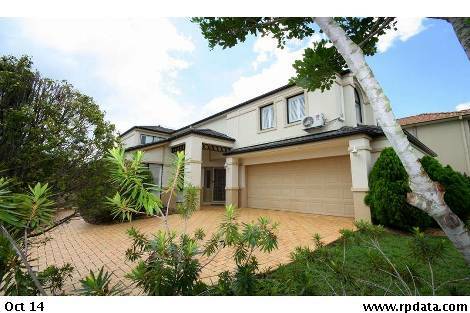 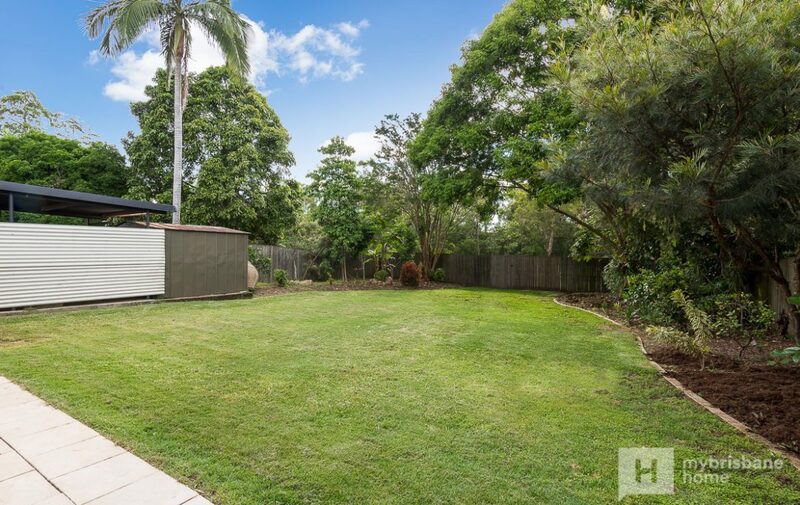 Realise your dreams and secure this immaculate low set home located in a sought after private & quiet location with absolutely nothing to do! 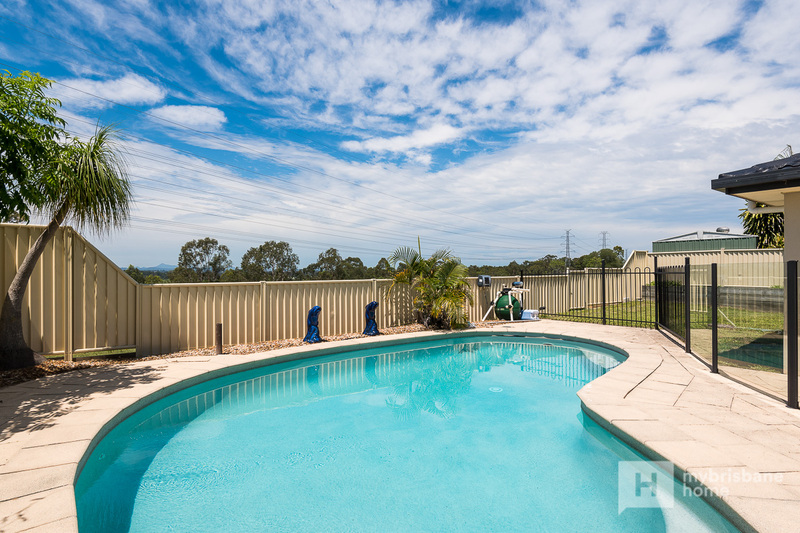 This perfect investment will have you head over heels in love from the moment you step inside. The gated entry leads to a private paved courtyard where the kids can play safely riding their bikes or just having fun. 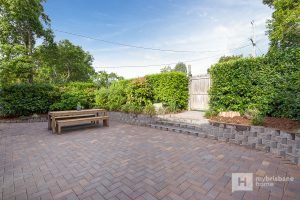 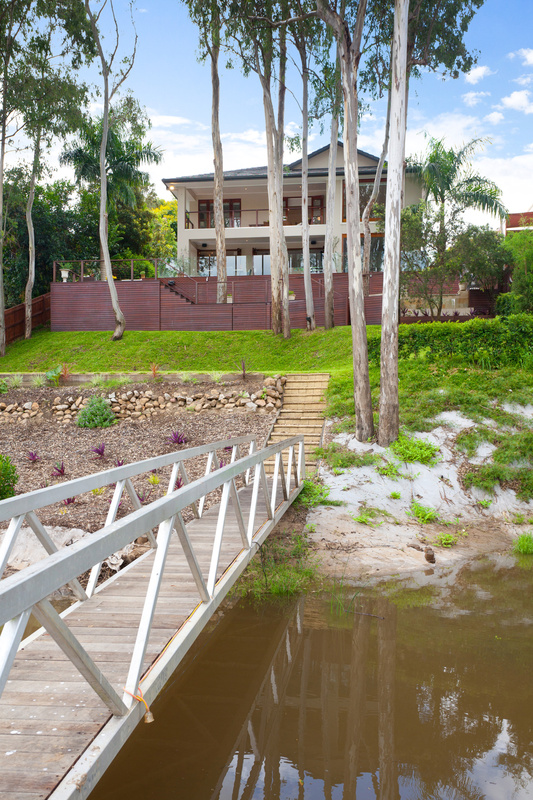 You will appreciate the clever landscaped outdoors delivering a low-maintenance garden with lush greenery offering you a picturesque place to relax and enjoy your surroundings. A clean light palette throughout the home creates a fresh feel combined with the brand new kitchen and low maintenance timber floorboards. The breeze flows freely through doors and windows, however, there is air-conditioning in the living room for those super hot Summer days. 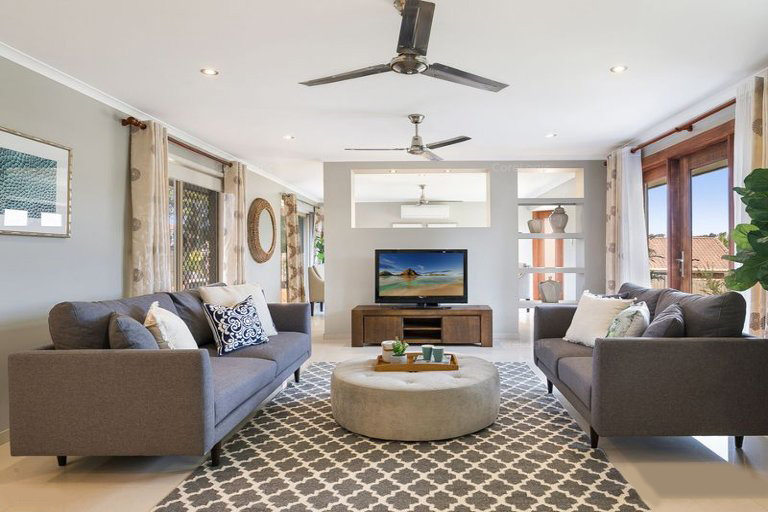 The spacious open plan kitchen, lounge & dining room seamlessly flow to an undercover alfresco entertaining area with private surroundings. 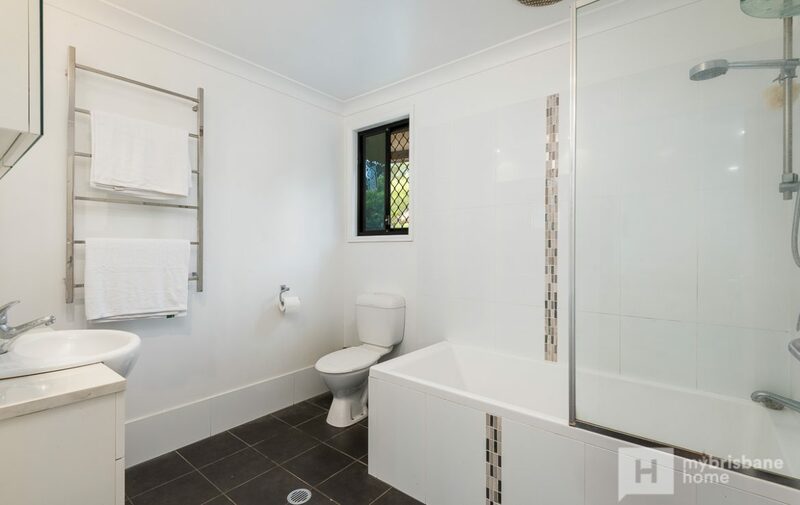 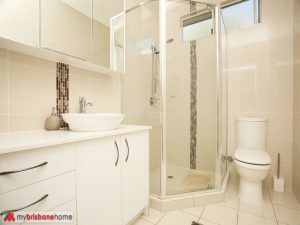 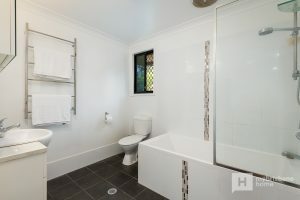 The bathrooms have been renovated to perfection and include semi-frameless glass, nothing but the best! 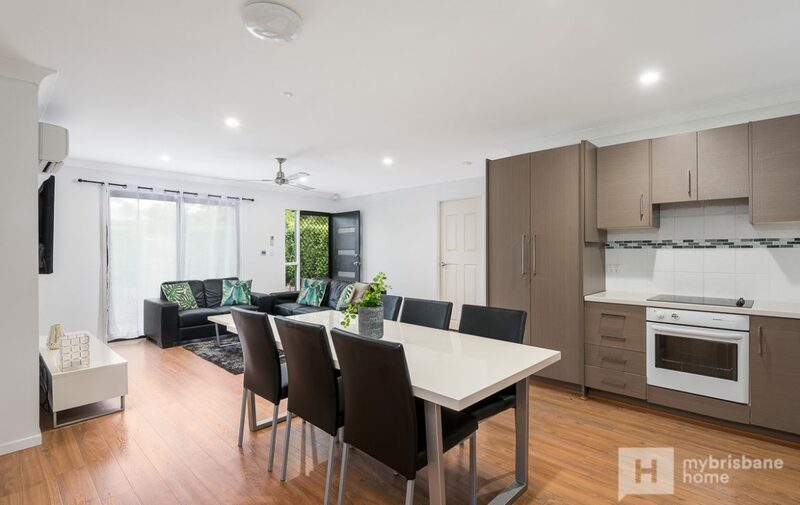 Perched in a peaceful north facing position, this versatile home showcases a spacious & convenient lifestyle with absolutely nothing to do – you need to inspect this property immediately to avoid disappointment. 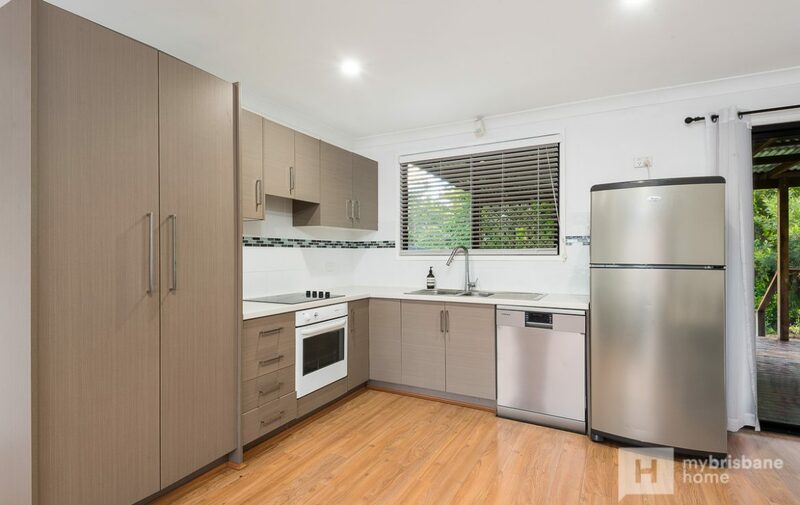 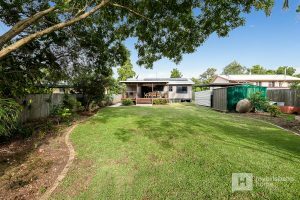 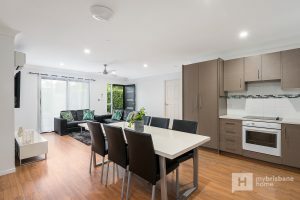 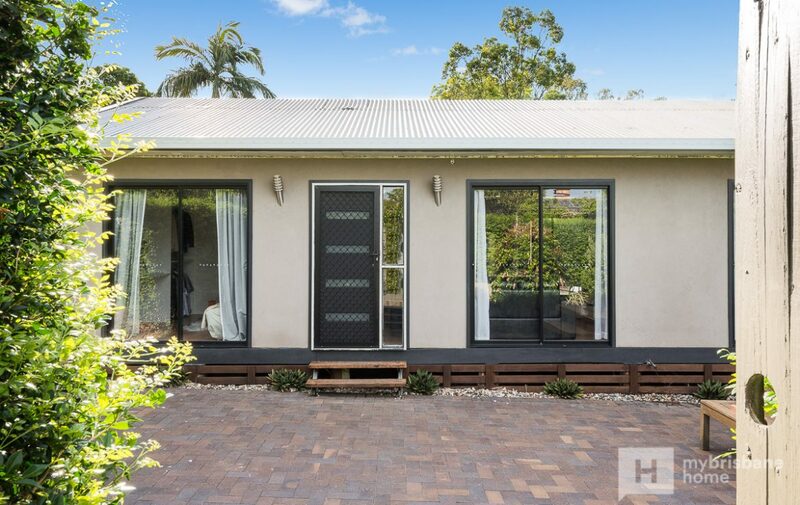 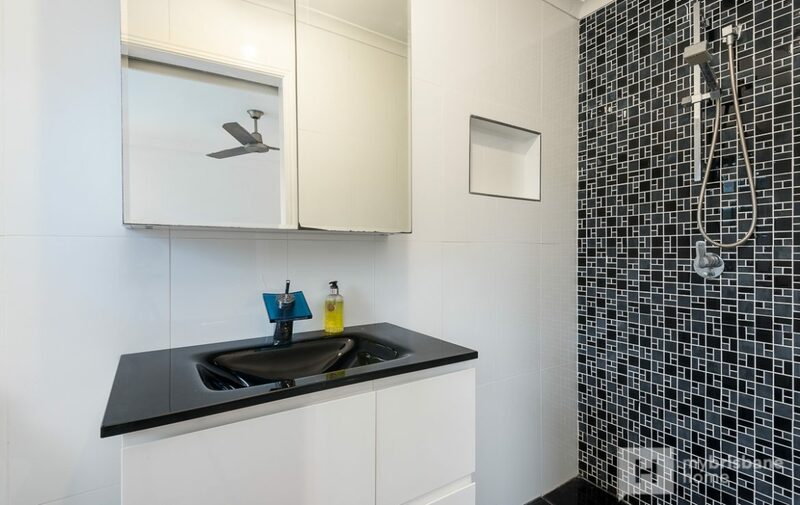 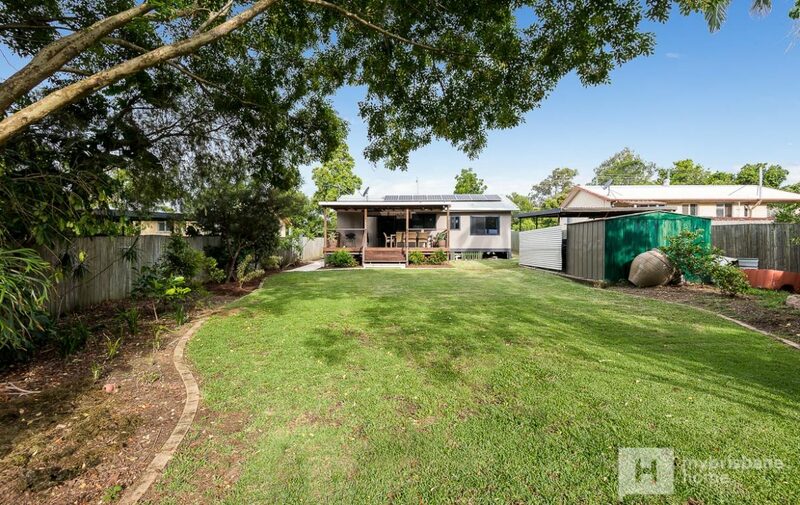 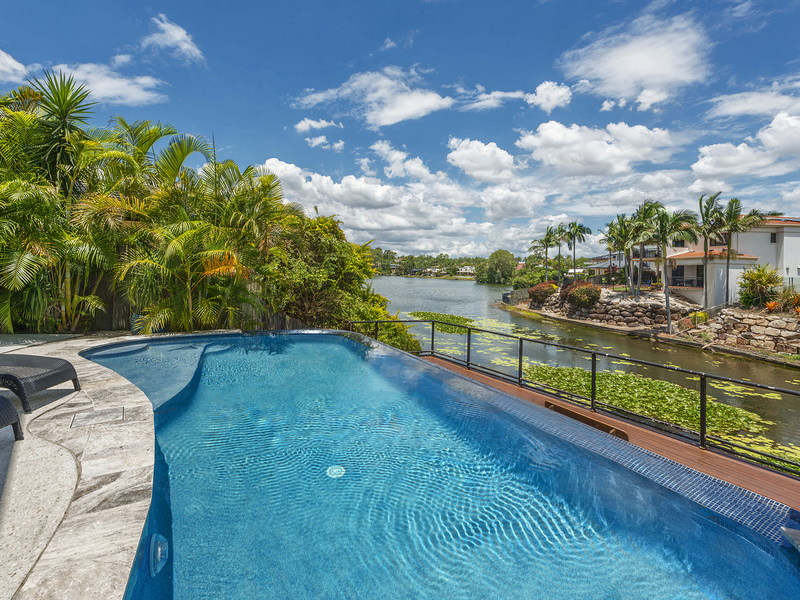 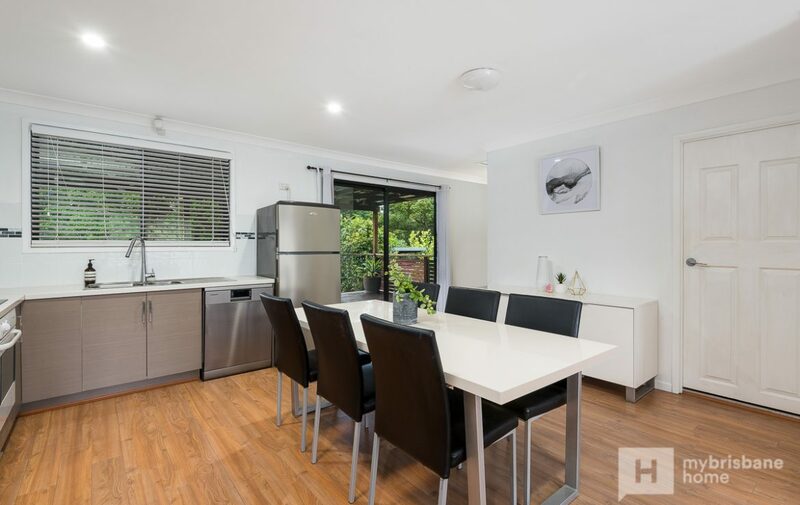 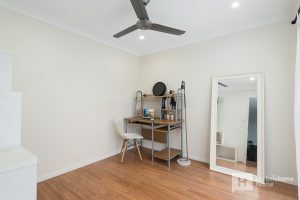 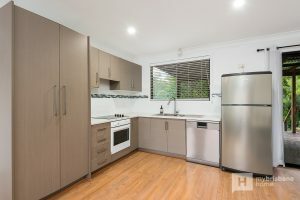 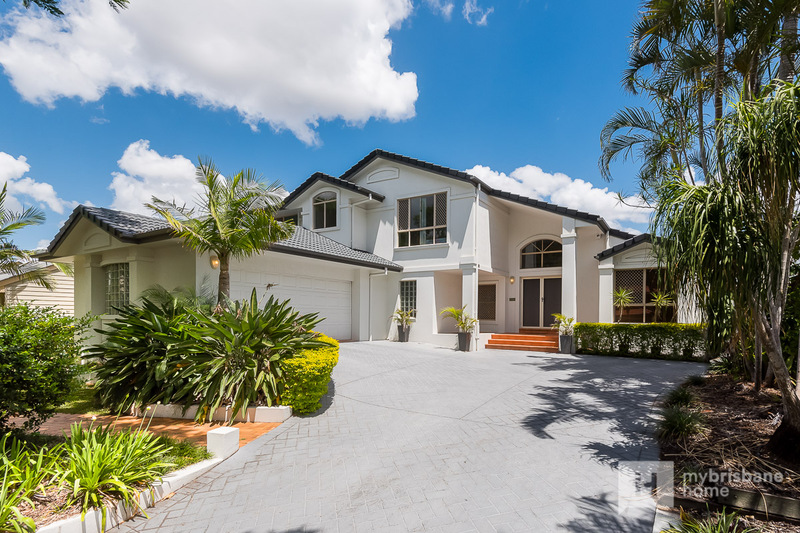 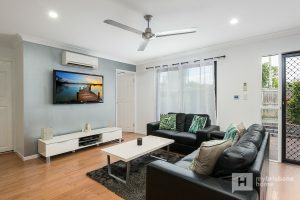 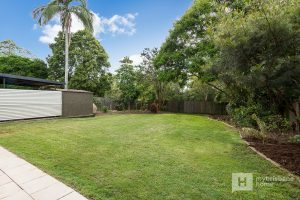 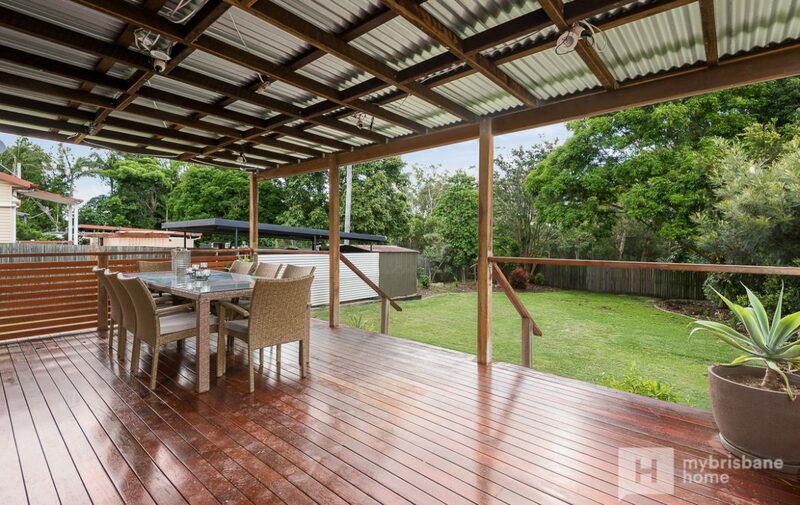 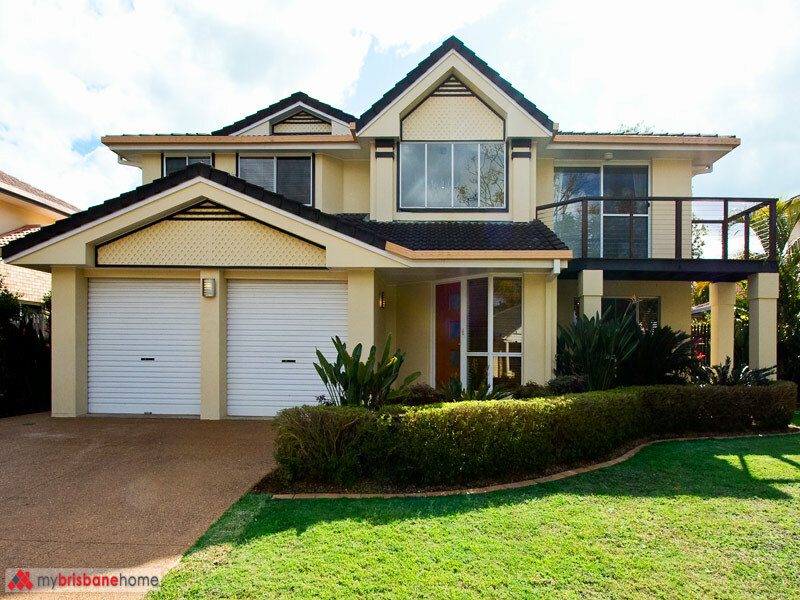 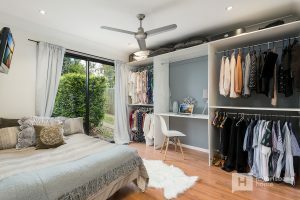 Fully immersed in the Darra lifestyle, this home within walking distance to Darra Train Station and via bus almost at the door, with regular services to Indooroopilly and into the city. 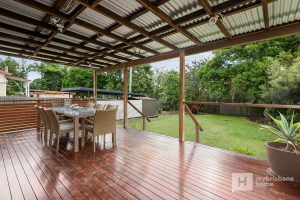 Perfect for buyers looking for lifestyle convenience or astute investors seeking a solid property to add to their portfolio. 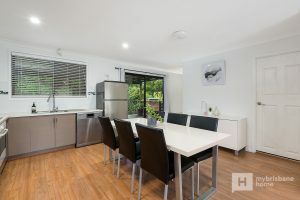 Inspect now or you will miss out! 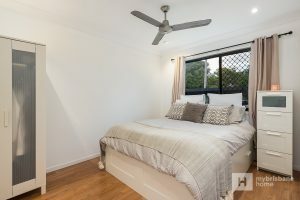 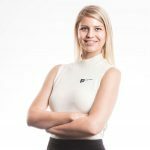 Call Georgia anytime on 0466 377 964 to arrange your private inspection.